By being only one of five states that do not collect a state sales tax and among the majority of states that do not assess a state estate tax, New Hampshire is known to be one of the most tax-friendly states for retirees. But things were different a few years ago since New Hampshire estate tax laws are tied to federal estate tax laws. What do federal estate tax laws have to do with New Hampshire state estate taxes? Prior to January 1, 2005, New Hampshire did collect a separate estate tax at the state level, called a "pick up tax" or "sponge tax," that was equal to a portion of the overall federal estate tax bill. 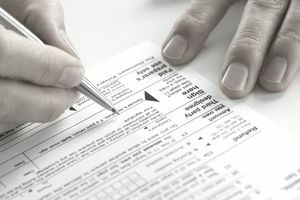 The "pick up tax" or "sponge tax" is a state estate tax that is collected based on the state estate tax credit that the IRS allowed on the federal estate tax return, IRS Form 706, prior to January 1, 2005. Each state had different tax laws with regard to the pick up tax, so the amount that a state would collect varied based on that state's estate tax laws. In essence, however, the overall estate tax bill was not increased or decreased due to the pick up tax. Instead, the total tax bill was apportioned between the IRS and state taxing authority. So what does this mean in plain English? It means that a portion of the federal estate tax was taken away from the IRS and instead paid to the decedent's state taxing authority. As such, prior to January 1, 2005, if a deceased New Hampshire resident owed federal estate taxes, then the New Hampshire Department of Revenue Administration collected the pick up tax from the deceased New Hampshire resident's estate. What is the Future of the New Hampshire Estate Tax? Effective January 1, 2005, the pick up tax was officially phased out under the provisions of the Economic Growth and Tax Relief Reconciliation Act ("EGTRRA"). In response to these changes in federal law that phased out the pick up tax, some states that used to collect a pick up tax chose to enact laws that allow the state to collect a state estate tax still. This is referred to as "decoupling" since the states that enacted a state estate tax no longer based their state estate tax laws on current federal estate tax laws. The majority of states did absolutely nothing and therefore no longer collect a state estate tax, and New Hampshire was one of them. Also, under the provisions of EGTRRA the pick up tax was supposed to return in 2011, but nonetheless the Tax Relief Act of 2010 did not include reinstatement of the pick up tax, so don't count on New Hampshire levying its separate state estate tax any time soon. For more information about the New Hampshire estate tax, refer to Frequently Asked Questions About Estate & Legacy Taxes on the New Hampshire Department of Revenue Administration website. Does New Hampshire Collect a State Inheritance Tax? Does New Hampshire currently collect a state inheritance tax, which is a tax assessed against the share received by each individual beneficiary of an estate as opposed to an estate tax, which is assessed against the entire estate? The answer to this question is No, the New Hampshire inheritance tax (referred to as the "legacy and succession tax") was repealed effective for deaths occurring on or after January 1, 2003.